The Metris Collection takes outstanding comfort and minimalist design to another level. Metris faucets give you more freedom of movement to meet your demands with a modern style that blends with any situation. This single-hole pull-out prep faucet features a single lever handle and a high-arc, 150-degree swivel spout with a pull-out sprayer that delivers a an aerated spray. A select button provides convenient start/stop of the water flow at the spray head. 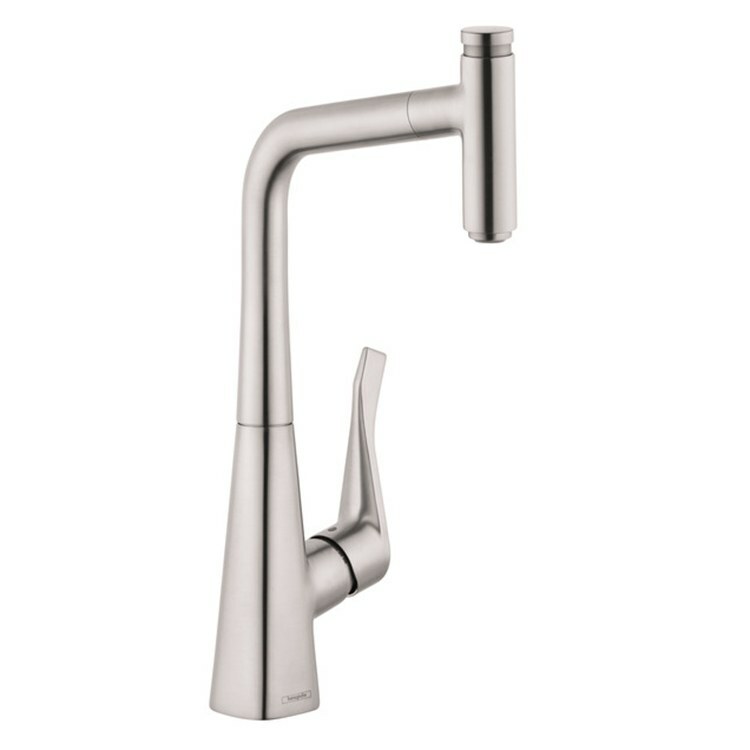 The faucet measures 16" high with a 7-1/8" spout reach.